Tooth loss is not a new problem. Since the beginning of time, people have experienced issues with their teeth, some of which eventually resulted in tooth loss. However, it took centuries for the field of dentistry to develop. Today, patients can benefit from the most advanced form of tooth loss treatment: dental implants. 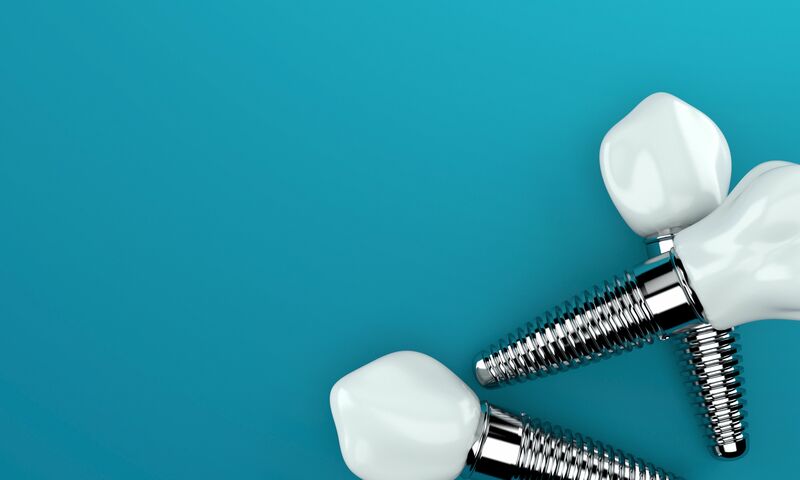 Dental implants are surgically placed titanium screws that replace the root of a missing tooth and act as a secure anchor for a full range of dental restorations. While many patients have come to rely on dental implants, it wasn’t all that long ago that this treatment wasn’t even available. Here, we discuss how the history of dental implants makes it possible for our Woodinville, WA patients to fully restore their smile after suffering tooth loss. Dental implants are a relatively new development in the long history of dentistry, but people have always been interested in preserving their teeth. There is evidence that ancient civilizations used their own methods to replace missing teeth. Archeological excavations from around the world show that various materials were tested as tooth replacements, including bamboo pegs, seashells, gems, animal bones, and even the teeth of other animals and humans. Although these restorations differ greatly from dental implants, these early forms of tooth loss treatment mark the beginning of the practice of restorative dentistry. Even though civilizations have always been interested in addressing tooth loss, it wasn’t until the 18th century that the idea of a dental implant started to be developed. Initially, gold and other alloys were considered as materials for the implant, but these did not prove to be successful. Another design version consisted of a porcelain crown placed atop a platinum disc. This also did not result in long-term success. The primary issue was that these early forms of dental implants were not being accepted by the body, so they did not offer the support and security that we have come to expect from dental implants. The key discovery in the history of dental implant treatment was the realization that the dental implant would need to fuse with the patient’s jaw bone to provide long-term support to a dental restoration. It was found, somewhat on accident, that titanium would be the ideal material to ensure this fusion, which is a process now known as osseointegration. In 1952, a Swedish physician and research professor named Per-Ingvar Branemark was conducting a study on bone healing. In the process, he had placed a titanium rod into the femur of a rabbit. Later on, when he went to remove the rod, he found that it was basically impossible, because the bone had grown around the titanium. He decided to study the process further, and in 1965, the first titanium dental implant was placed into a live human volunteer. The implant procedure in 1965 is recognized by many as the most pivotal moment in dental implant history. Although designs and techniques continued to be perfected over the next several decades, the basic concept of dental implant treatment has remained largely the same since that first procedure. Today, dental implants have proven to be the strongest and most natural replacement for missing teeth. Dental implant treatment can restore the health, function, and beauty of your smile after tooth loss. If you are interested in learning more about the dental implant procedure and how it can benefit your smile, schedule an appointment at Signature Smiles. Call (425) 489-1177 at your earliest convenience to get your treatment plan started.